Aston Villa dominate at Madejski Stadium but can't breakthrough Reading resolve. 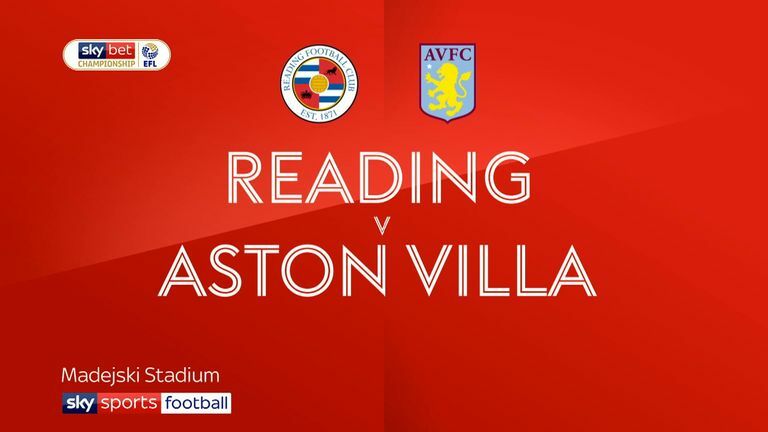 Aston Villa's play-off hopes suffered a setback when they were held to a scrappy goalless draw at Sky Bet Championship strugglers Reading. The visitors dominated large periods of the first half and went close to breaking the deadlock when Tommy Elphick sent a header against the crossbar. 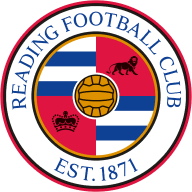 Reading's best attempts came from new striker Nelson Oliveira, on loan from Norwich, who was twice denied by Villa goalkeeper Lovre Kalinic. 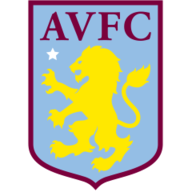 Villa had endured a poor run of form, with only two wins from their previous nine league matches, but started the day just five points adrift of a top-six place. Relegation-threatened Reading had managed only one victory from 13 league outings, conceding a stoppage-time equaliser at Bolton in midweek. Villa created the first chance of the game when Glenn Whelan crossed into the area. Tammy Abraham turned well at the near post but fired his shot straight at Reading goalkeeper Emiliano Martinez. Callum Harriott then miscued an attempted clearance, putting the Reading defence under pressure, but the ball was eventually hacked to safety. Villa continued to press, with Anwar El Ghazi forcing Martinez into a fine sprawling save. Abraham looked to latch onto the rebound but could only send his stooping header wide of the mark. Reading offered little going forward, with most of their promising approach play breaking down on the edge of the Villa box. However, when they did get it right, they had Villa in trouble. Lewis Baker curled in an inviting cross from the right that Oliveira, trying an ambitious finish, volleyed spectacularly over the crossbar. Villa almost went ahead on the half-hour from a Conor Hourihane corner. Elphick beat Martinez in the air but his glancing header came back off the bar. Reading replied just before the break when Kalinic saved well from Oliveira's powerful 20-yard drive. Shortly afterwards, Kalinic dived low to his left to keep out an Oliveira header from John Swift's inswinging free-kick. Villa took control after the interval, with Neil Taylor an increasing threat down the left flank. An excellent run and cross from Taylor caused panic in the home defence but there was no team-mate on hand to meet it at the far post. Villa maintained their tempo, with Reading barely able to get out of their half. Whelan tried his luck from distance but the effort failed to trouble Martinez. Albert Adomah was also off target with a header. With eight minutes left, Abraham looked set to register his 20th goal of the season from El Ghazi's searching centre, but although his header was firm and true, Martinez pulled off a magnificent save to deny Villa victory. Jose Gomes: "We had a fantastic first half. We were the better team and we created some good goal situations. We should have scored from at least one of them. "The way that Aston Villa attacked, they were very dangerous. They are really strong in attack. So I was pleased that we finished with a clean sheet, even if we played a bit out of our process in the second half. It was more direct football. But even with the more direct football, our players did very well. They were brave, they fought and they defended." Dean Smith: "We came here trying to get three points and we only came away with one. So while I was disappointed with the result, I wasn't with the performance, especially in the second half when we were excellent. "We pressed Reading, we went and won the ball high and created a number of good opportunities, the big chances. But we didn't take them, we didn't get the ball across the line. It's very unlike us not to score goals. At least we looked very solid at the other end."